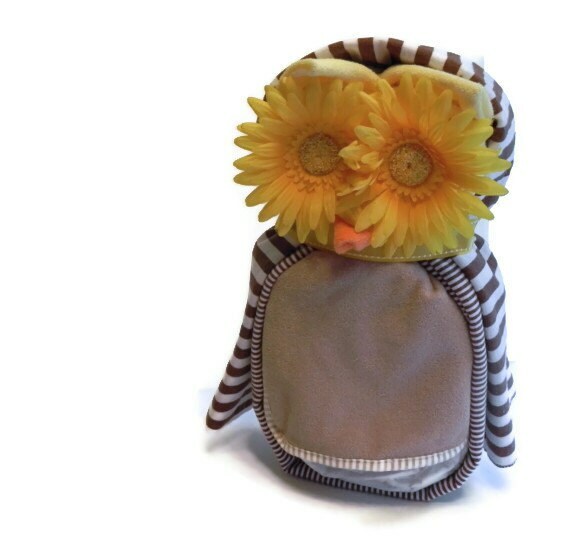 Designed to look like a Wise Owl, this adorable Owl Diaper Cakes makes the perfect Baby Shower gift or centerpiece! 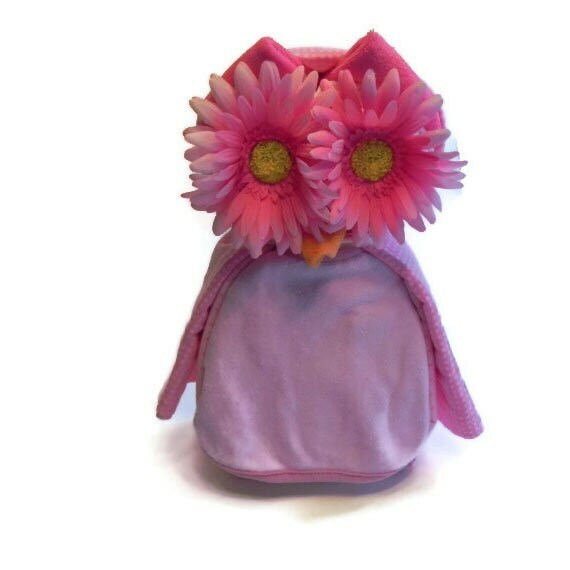 Our Owl Diaper cake measures approximately 12" high and 8" wide, stands upright, is made of completely practical ingredients, and looks good from every angle! 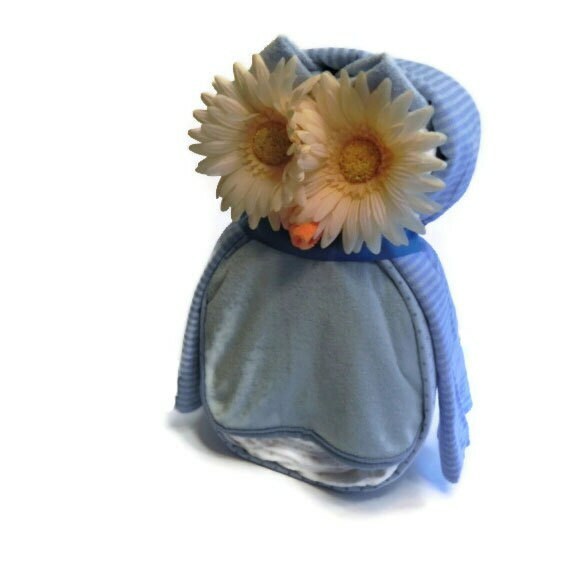 This listing is for ONE Owl Diaper Cake. 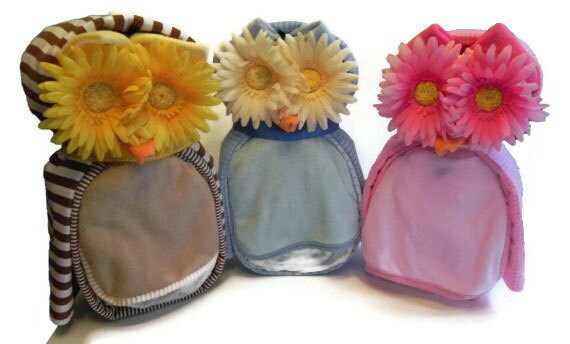 Each Owl Diaper Cake is handcrafted, and made with TLC in the BabyBinkz studio! Ask about custom orders! Please note: The colors / designs in the pictures are representative of our products and vary in our final products. We will always coordinate with the gender selected. 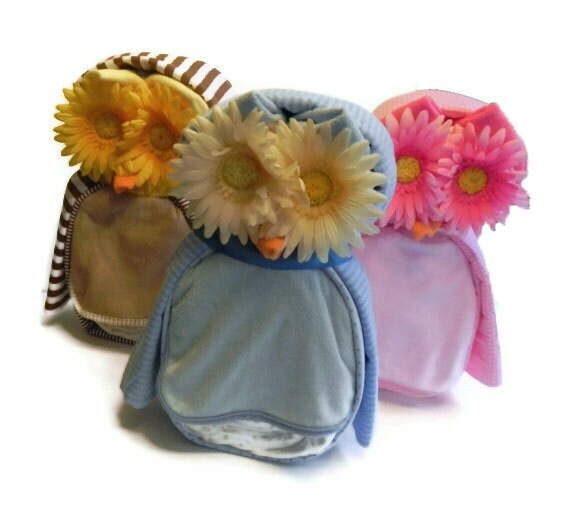 Please specify Boy, Girl or Neutral and we will send you an owl to match!